If you’re an Uber driver, you know how important it is to have reliable transportation that also delivers on style and comfort. You depend on a quality vehicle to earn money, so you need a model that will not only impress your passengers, but also keep them cozy and content. However, this vehicle shouldn’t take more from your paycheck than you’re earning, so you also want a car that won’t break the bank. Our Winston-Salem used car dealership has a lot full of newer, nicer used cars that are perfect for someone who relies on a vehicle’s style, safety, and performance to do their job. Considering different options for your newer car as an Uber driver can be a difficult choice because you are required to meet certain standards for the company. You’ll want a reliable vehicle as well as a fuel efficient model to get the most bang for your buck. It’s especially important that the vehicle be safe. If you’re driving for the basic UberX service, you’ll need a four-door sedan or compact car that can fit your passengers’ precious cargo. This model is both reliable and spacious, and it carries five adults comfortably. The generous room and comfy ride could help get Uber drivers good ratings, and the 2015 models and above come with forward-collision warning and automatic emergency braking. Another great choice is the Honda CR-V. This model has all-wheel drive for bad weather conditions, so you’ll pick up many stranded passengers if you’re the only car on the road. Its roomy cabin, good fuel economy, top safety scores, and capable handling also are advantages. This popular midsize sedan is great for picking up passengers around town due to its smooth ride, excellent rear seat room, standard safety features like LaneWatch blind spot camera. 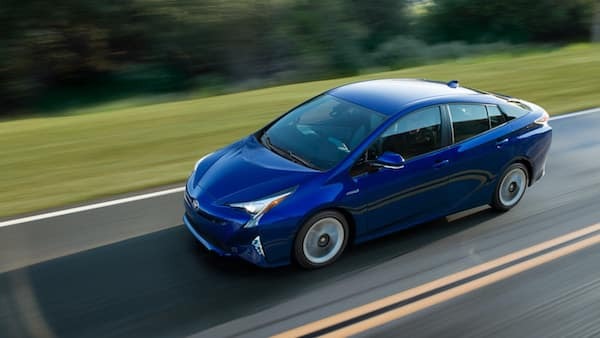 The Prius is a great option for those who want to save money at the gas pump. Its EPA estimated 51 mpg city driving makes it the perfect candidate for Uber driving, as does its 27.4 cubic feet of room for luggage behind the rear seats. This midsize sedan boasts lots of rear legroom, excellent handling, and an impressive optional MyFord Touch infotainment system that’ll keep passengers entertained. A wide range of engines including hybrid powerplants help save on gas. This sedan has many features that favor the passenger, such as heated rear seats and dual rear-window sun shades. It also offers generous rear-seat room and lots of trunk space, and comes with an easy-to-use navigation system. For more suggestions on picking used cars for Uber drivers, contact us at Frank Myers Auto Maxx! Why Buy a Used Car from a Dealer?